Each morning, as I sit down behind this desk, I discover 12 sets of eyes upon me, the most recent (and in some ways least likely) Jesuit to occupy this office. One of my predecessors, when greeting visitors here, would describe these portraits of America’s former editors as a “rogues’ gallery”—his attempt to take some of the pomp out of what is, admittedly, a rather self-important display. My immediate predecessor, Father Drew Christiansen, will soon join the group; the pictures will then get re-arranged and a space just below Drew’s will be set aside for the day when I in turn vacate this office at America House. Hopefully, that day will not come too soon. For at least one of America’s editors, however, the last day came very soon indeed. John Wynne, S.J., the first editor (1909-10), possessed the genius to found this weekly review but not the skill to manage it; he was relieved of his duties within a year. Still, Father Wynne is the former editor in chief who is most on my mind these days. What would he think of this 21st-century America? Would he even recognize us? It is very likely that Father Wynne never sat in a car; he could not have imagined the iPad on which I am writing this, nor would he have predicted that most of America’s writers would now be laypeople. Yet the spirit that inspired Father Wynne still animates our work. And as with most things Jesuit, it all goes back to St. Ignatius. If you are familiar with Ignatian spirituality, then you will know a fundamental Ignatian principle, one of the first things that he mentions in his Spiritual Exercises: God meets us where we are. For St. Ignatius, that principle obviously meant that Jesuits should do the same. In Ignatius’ time, “meeting people where they are” meant moving downtown. St. Ignatius was not the first to found a religious order. His peculiar innovation was to relocate its base from a monastery outside of town to the very center of the city. And so America set up shop overlooking the public square, right at the corner of the church and the world. The object was three-fold: to assist with the faith formation of American Catholics, the evangelization of American culture and the progress of America’s civil society. Thus, our name. In Father Wynne’s day—when the nation’s Catholic citizens were viewed with disdain—this kind of intellectual apostolate was especially needed. For different but no less daunting reasons, this apostolate is still needed today. The U.S. body politic, sickened by the toxin of partisanship, needs the elixir of charity and clarity. The body of Christ also needs healing, torn asunder as it is by scandal and ideological divisions that thoughtlessly mimic their secular counterparts. America neither pretends nor aspires to be the solution to these problems. We simply hope, as Father Wynne did, that our weekly review—in print and online—will serve as one model of a truly Catholic as well as a truly American public discourse, one marked by faith, hope and charity. In other words, we seek nothing more than to bear public witness to the healer of all our afflictions, the balm in Gilead, the One whose spirit even now lives among us, among the people of these United States. This article also appeared in print, under the headline "Of Many Things," in the October 22, 2012 issue. 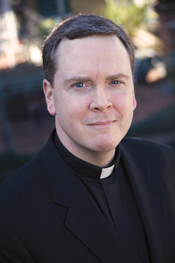 Matt Malone, S.J., is editor in chief of America.